Taff, H. T., Marchillo, K. and Andes, D. R. (2013). Preparation of Candida albicans Biofilms Using an in vivo Rat Central Venous Catheter Model . Bio-protocol 3(14): e823. DOI: 10.21769/BioProtoc.823. Taff, H. T., Nett, J. E., Zarnowski, R., Ross, K. M., Sanchez, H., Cain, M. T., Hamaker, J., Mitchell, A. P. and Andes, D. R. (2012). A Candida biofilm-induced pathway for matrix glucan delivery: implications for drug resistance. 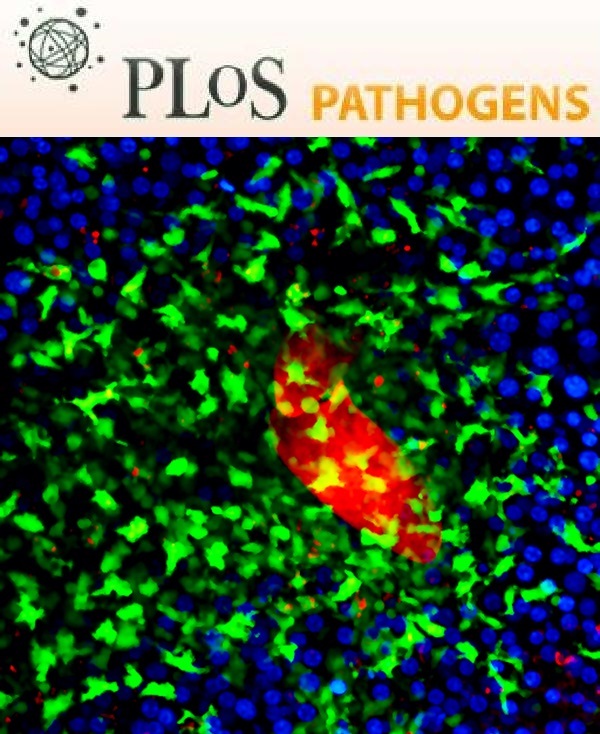 PLoS Pathog 8(8): e1002848. In vivo biofilms grown on medical devices are necessary to understand the interactions of the fungal biofilm and the host environment in which it is most commonly found. This protocol describes a way to grow Candida albicans biofilms on the interior lumen of central venous catheters surgically implanted into rats, which mimics quite well the clinical cases of biofilms found on human central venous catheters. These infected catheters can then be studied via a multitude of different experiments, including cell counting by plating, imaging the catheters under light or electron microscopy, or comparing the relative content of in vivo biofilms to in vitro biofilms and planktonic cultures. These biofilms also provide enough high quality RNA for transcriptional profiling. Cut polyethylene tubing into 54 cm segments and gas sterilize using ethylene oxide. Anesthetize rats with roughly 0.5 ml intraperitoneal (i.p.) injection with 1 mg/kg of xylazine/ketamine mixture. Note: Exact volume will depend on the size of the rat. Shave the neck, midscapular space, and anterior chest of the rats to be catheterized and scrub with betadine. Prep a sterile surgical space containing the rat in a supine position. Fill the catheter piece with 540 μl of heparin (100 U/ml) via a 2 way stopcock. Once filled, place stopcock in the locked position to ensure sterility. Create a vertical incision just right of the midline of the anterior neck and horizontal cut in the midscapular region. Tunnel the catheter subcutaneously from the midscapular region to the vertical incision (secure subcutaneous button end with staple at midscapular area leaving rat wire tether exposed). Use blunt surgical dissection to find and expose jugular vein and tie off cranial end. Make a small longitudinal incision in the wall of the internal jugular vein with vein scissors. Place catheter in incision and advance along the vein until approximately 2 cm above the right atrium. Check for proper placement by opening stopcock and checking for flash of blood flowing inside catheter. Secure catheter to the vein with 2-0 silk ties. Close stopcock. Close incision site with surgical staples. Treat surgical sites with bacitracin and place rat jacket on. Rats are allowed to rest for 24 h to recover from the catheter placement and their recovery from surgery assessed according to standard animal care protocols. Note: Throughout rest of study, check on health of rats every 8hr and flush catheters with heparinized saline once a day. During 24 h rest period for the rat, 5 ml of YPD + uridine culture in a 15 ml conical tube is inoculated with a single colony of Candida albicans growing on a plate. Ideally, colony should have grown large enough to be picked easily (usually takes ~ 2 days) but not so old that it starts to lose its circular shape (usually after about 10 days of growth). Most Candida strains will grow well on YPD + uridine agar plates, but any medium that allows the strain to be studied to grow well can be used. Inoculum is incubated overnight at 30 °C and 200 rpm. Cell concentration of overnight culture is determined by cell counting on a hemocytometer. Inoculum diluted to 1 x 106 cells/ml in 0.85% saline. Viable cell counts are confirmed by plating unused inoculum on YPD + uridine plates. 540 μl of diluted inoculum is added to the intraluminal portion of the catheter (via stopcock) and allowed to adhere for 6 h.
Inoculum is then removed through stopcock in the open position and the catheter volume is filled with 100 U/ml heparinized saline. The stopcock is then closed. Microbes within the catheters are then allowed to grow for 48 h.
Note: If desired, drugs can be administered into the catheter lumen (via stopcock) after 24 h of growth to test in vivo drug susceptibility of biofilms. At the end of the growth period, rats are sacrificed according to animal safety protocols. Catheters are removed from the rats in a sterile surgical environment with all sterile tools and supplies, and cut into roughly 1-2 cm long segments. At this point, protocols diverge based on the nature of the in vivo experiment being conducted. Combine all ingredients and aliquot into 100 ml bottles. Autoclave bottles on liquid cycle to sterilize. Combine all ingredients in 2 L flask and autoclave on liquids cycle to sterilize before pouring plates. Andes, D., Nett, J., Oschel, P., Albrecht, R., Marchillo, K. and Pitula, A. (2004). Development and characterization of an in vivo central venous catheter Candida albicans biofilm model. Infect Immun 72(10): 6023-6031.